Servers will be going down for an maintenance at 03/24 02:00(EST). 1. 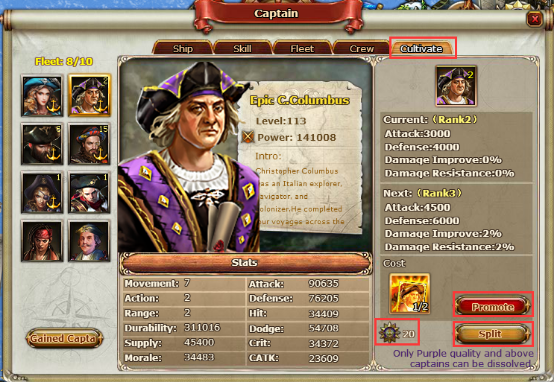 ‘Captain Cultivate’ function is added after maintenance. Unlock at level 30.
corresponding captain cards in ‘captain’ panel. 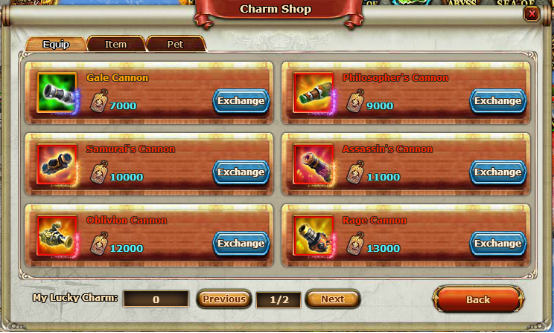 The items displayed in the shop are random, but you can refresh the item list. he/she will disappear from your group. Panel close time is at 23:59 on March 31st. to your rank after event ends. 3. 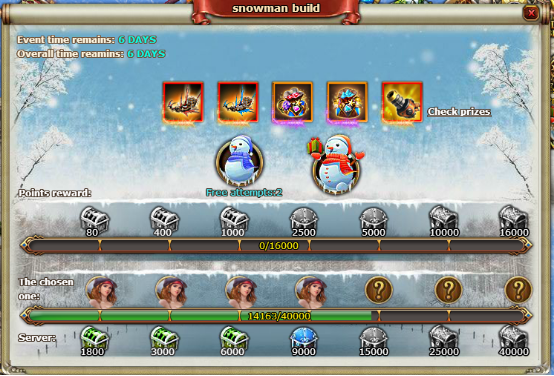 Mr. Snowman event is online from 1:00 on March 24th to 23:55 on March 31st. A. When you make snowmen, you will get prize and corresponding snowman score . the personal reward in the event panel. 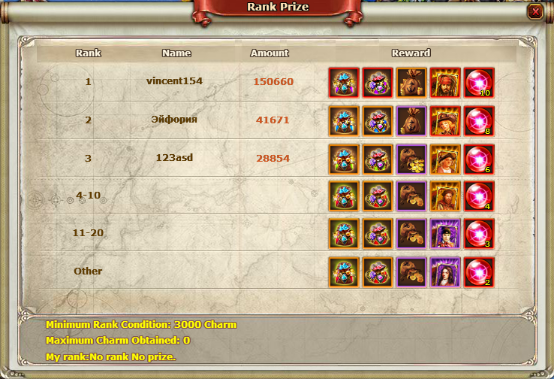 all players on the server can claim the server reward. special prize in the system mail. 4. Force Awakens is online from 1:00 on March 24th to 23:55 on March 31st. 5. 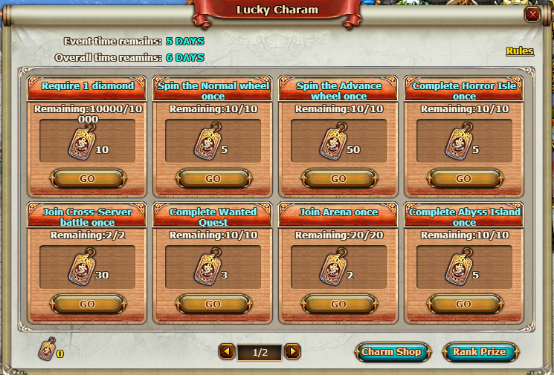 Fortune Lotto event is online from 1:00 on March 24th to 23:55 on March 31st. 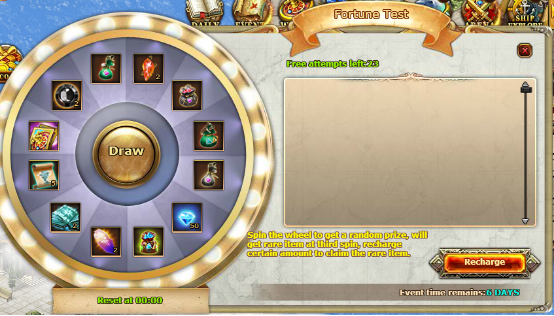 During the event, all players can spin the wheel for free to get reward each day. 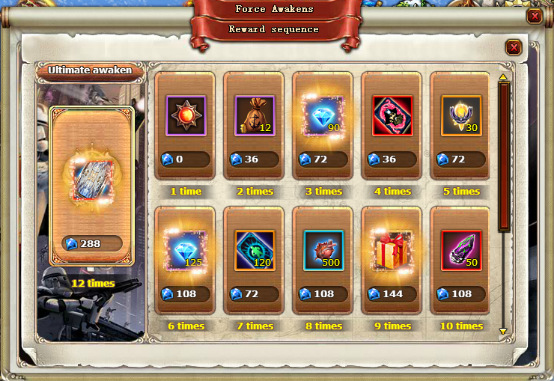 You will get surprise reward every 3 times you spin!